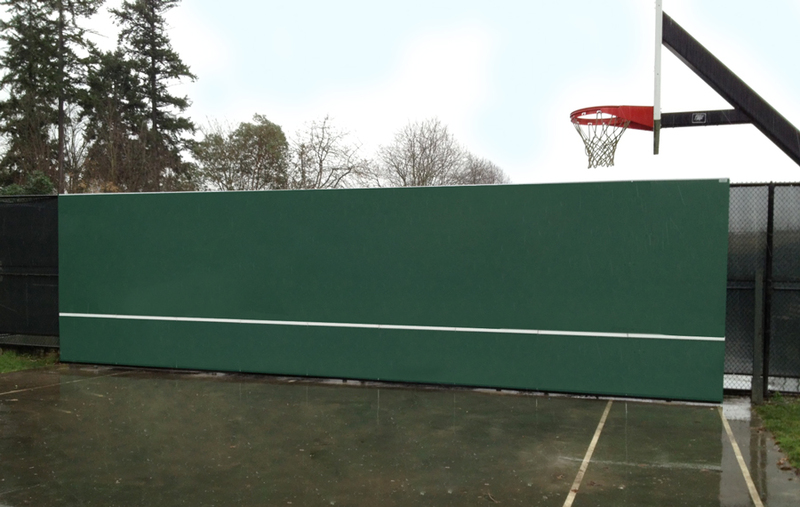 Skill level: A wider backboard provides more margin for error. Beginner players get less frustrated when practicing on a wider board. Number of users: When more than one simultaneous user is anticipated, figure on 16′ of minimum width per user. 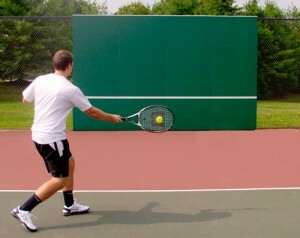 Type of use: A huge benefit of backboard practice, aside from stroke development and ball control is aerobic training. 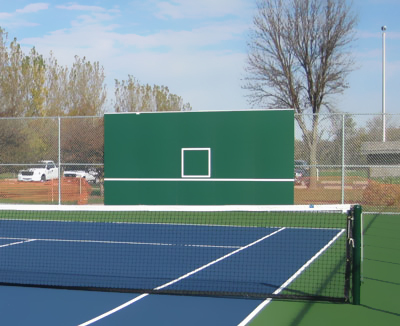 Drills that combine ball hitting while a player simultaneously moves from one end of the backboard to the other are best performed on wider walls. Type of sport: Sports training for tennis, soccer, basketball and lacrosse, frequently involve multiple players performing simultaneous interactive backboard drills. 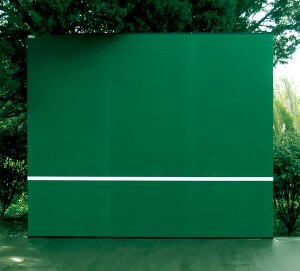 (Player “A” directs a ball off the wall towards player “B”). If this type of use is anticipated, use the 16′ of width of backboard-per player, rule of thumb. 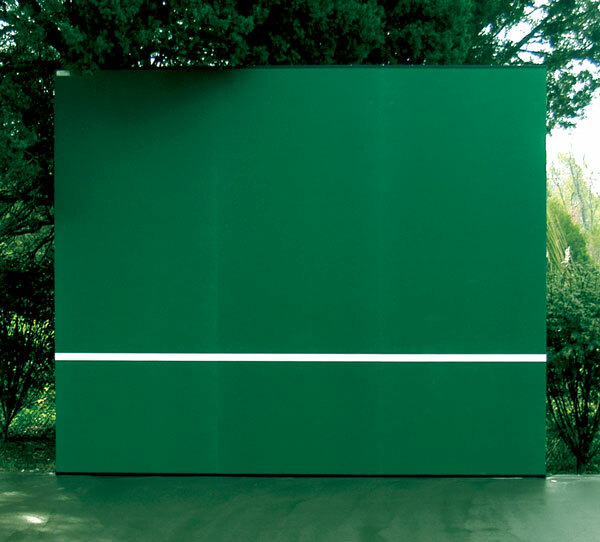 A 10′ x 12′ wide backboard is the smallest available size. It is suitable for one player of intermediate to advanced level. The narrower size requires accurate ball placement for optimum use. 10′ x 16′ through 10′ x 28′ backboards afford a single user more room for error. Obviously the wider the board the more margin for error in developing one’s skills. 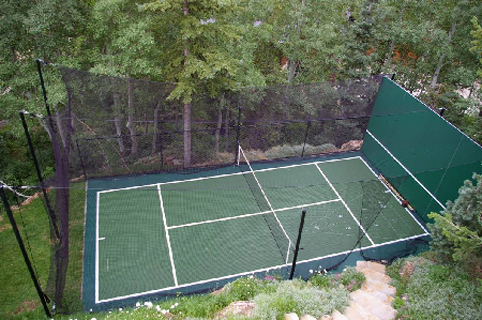 Wider boards also provide space for aerobic drills that require side-to-side hitting patterns that develop both ball control and player footwork. 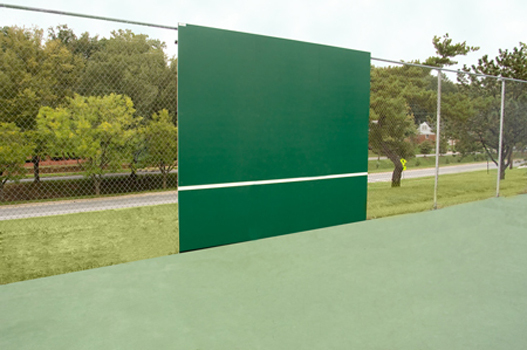 A 10′ x 32′ wide backboard is the minimum size required for use by more than one player at a time. 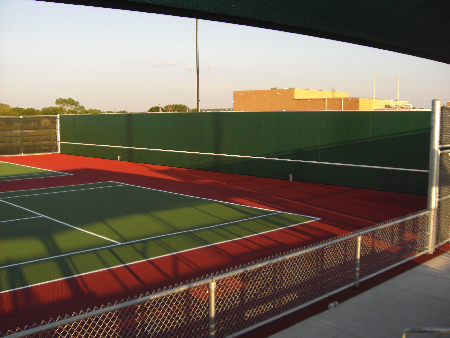 In particular, schools and tennis clubs usually install wider backboards so it can be used by more than one person at a time. The number of simultaneous players, the wider the board.